While the online channel continues to grow, consumers are exploring new ways to make shopping even more convenient. Research shows the Buy Online Pickup In-Store (BOPIS) option is now responsible for nearly 30 percent of online retail revenue. 1. 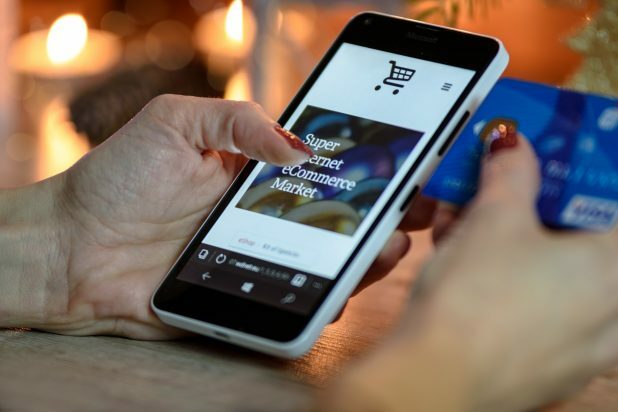 Convenience is king: In our world where instant gratification tops all else, today’s consumers expect a new kind of convenience when shopping, so progressive omnichannel retailers must adopt BOPIS to accommodate changing demands. A recent study shows two-thirds of shoppers say multiple fulfillment options influence their willingness to complete a purchase. 2. Cost cutting: BOPIS allows consumers (and retailers) to save shipping fees, while also expediting last mile fulfillment. Avoiding shipping fees was listed as the top reason customers like BOPIS, so it’s critical for retailers to offer a frictionless customer experience that also helps them save money. 3. Vision quest: Retailers need to ensure customers can view store-level inventory when making an item selection. Shoppers today want their merchandise ASAP, and they’ll likely only consider items that are in-stock and ready for pickup, otherwise they’ll go to another retailer to find it. 4. Don’t forget fulfillment: BOPIS doesn’t work if retailers don’t have a clearly stated fulfillment promise that they can consistently deliver on. Many retailers are meeting the expectation of availability within two hours for items in stock. Retailers must make their BOPIS process convenient AND quick. BOPIS falls short if consumers experience friction with fulfillment—standing in line to retrieve an order is a satisfaction killer. 5. Lock it up: Automated locker systems, like the one from Package Concierge, provide simple and secure fulfillment to ensure a positive BOPIS experience for consumers and retailers. Research shows nearly 80 percent of BOPIS shoppers will make an additional purchase while at the store, and a happy customer buys more. Penny Lasater is senior product manager at Package Concierge, the innovator of the automated locker system. Made in America with design and cutting-edge technology at its core, Package Concierge is the highest-quality solution in the industry, as the only secure and seamlessly integrated system for 24/7 package management that also meets all fire and safety standards. From its intuitive mobile app to shipping and returns, Package Concierge makes package management hassle-free for residents, property managers and retailers. Mobile, Landline or 1300 Number — Which Is Best For Your Business?